Anguilla was not given a moment of calm. The eye did not pass over the island. Instead, Irma's powerful eye wall battered our island. Below are updates as Anguilla rebuilds in Irma's wake. This page will continue to be kept up to date. Sparkling-clear blue, most all restaurants and hotels re-opened, too, the island looks fantastic. Stepping foot on Anguilla today, the progress is evident. It is a testament to the positive, resilient nature of Anguilla and the love that surrounds her. 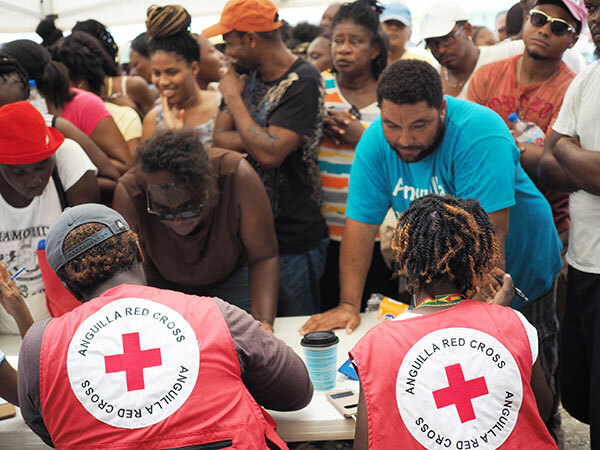 A deep gratitude of thanks goes out to all who jumped into action to help, and to those who donated to the Anguilla Red Cross via our fund, all in the name to bring back the island that is so near and dear to our hearts. The island we all love so much IS back, stronger than ever. Here is to the power of Anguilla! APANY - Founded by the US Anguillian diaspora association, and sanctioned by the Anguillian government (501(c)3 charitable organization, donations are tax-deductible. 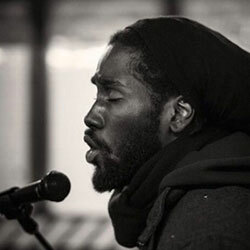 The Anguilla Foundation a U.S. based non-profit dedicated to humanitarian projects and development of the arts on Anguilla. Update: ANGLEC has received support from the UK and electricity is being restored more rapidly. It is our wish to restore electricity island-wide by the peak of the tourist season (December 15, 2017). This is essential to minimize the long-term economic impact of Hurricane Irma. Electricity service impacts every aspect of our economy and is vital to secure and maintain employment for the island. Damage assessment shows that our needs are too great to accomplish full grid restoration in short order - on our own. ANGLEC is calling for HELP. We need linesmen and journeymen, in addition to equipment (digger derrick trucks, bucket trucks, heavy duty pick up trucks). Persons with the ability to remove transformers, mount and install pole mounted transformers. Persons will be needed for at least 1 month. Lodging will be organized by ANGLEC and the ATB. Food will be covered by ANGLEC. If you are able to help, please consider contacting ANGLEC. Getting all of Anguilla re-connected is critical. For further details, including travel + pay, the scope of work and the initial damage assessment, please contact ANGLEC: Erimel Franklin at 1-264-476-7905. Tender Loving Care Home for the Elderly, Needs Support! Tender Loving Care, the labor of love of Founder and Principal Nurse Brenda Hodge, is a vibrant home located in North Valley, Anguilla, offering care for the elderly. It has been serving an important need in the community for the last thirteen years. Hurricane Irma wreaked havoc on the residence. The thirteen elderly citizens who called this residence home, were forced to temporarily move into the smaller premises of Nurse Brenda’s childhood home in George Hill. Sunset Homes is mobilizing resources to make a pivotal impact on leading the reconstruction of this home so that its residents can return to their own space within safe and comfortable environs. Update: If you are on-island and would like to help with this wonderful effort, please contact: info@sunsethomesanguilla.com – or call 1-264-235-3666. Latest update from Tender Loving Care here. 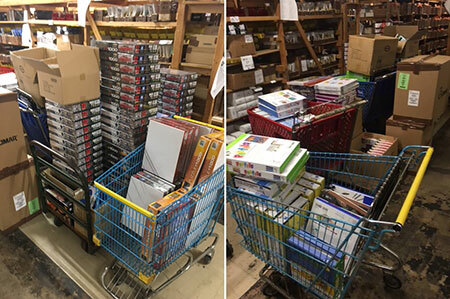 General Relief Items: The BEST way to send the items needed most with zero duties is via Help Anguilla's Amazon Wish List. The shipping address will auto fill and much needed items are being added constantly, so check back often. 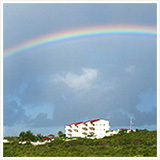 To send items to specific friends/family, Tropical Shipping has been recommended by many friends of Anguilla in the US. Tropical has several ports to ship from, including one in New Jersey and one in Florida (one in Florida leaves on Thursdays). 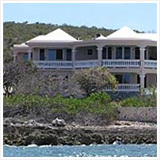 They guarantee that you can ship through them to an individual on Anguilla, even to a PO box without a street. For an idea of shipping costs for a generator, for example, one good friend in The States reports $112.00 to ship aboard Tropical. Shipments MUST be booked in advance and MUST include the person's name, address and telephone. 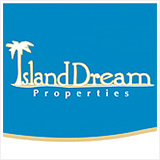 Visit Tropical's site here for contact info/details (recommend calling). Update: Deadline to ship has passed. With the support of several volunteers of the AXA Cares Food Bank (who annually collects presents for the children of Anguilla), Rebecca Taillon (president of AARF) is asking for donations of Christmas presents for the children of Anguilla. Please consider participating, as I’m sure the number of families reaching out to the food bank for support will increase this year due to the current unemployment situation cause by Irma. Jim and Rebecca are temporarily in Florida, recovering from injuries Jim sustained in Irma. Rebecca will be receiving the donated goods in Florida, then will consolidate shipments to Anguilla. Folks on island are working on getting permission to accept all donations duty-free. To aid in the consolidation process, please use USPS LARGE “Priority Mail Flat Rate” boxes (the current postage rate is around $19). 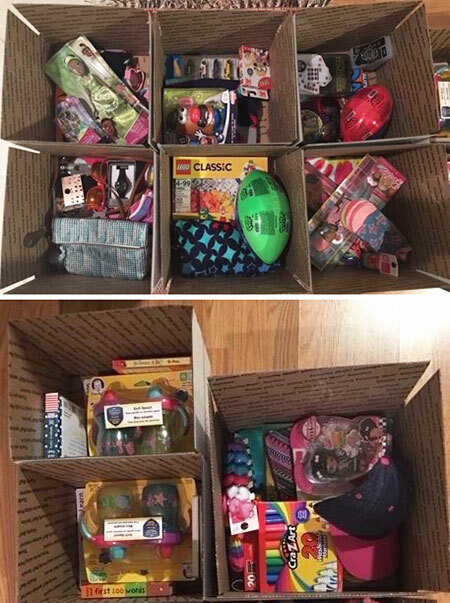 What you decide to shop for and put in the boxes is up to you - please limit the value of the contents to no more than US$25 per box. Please don’t wrap your contents - we'll wrap the USPS box once it gets to Anguilla. For more details, contact Rebecca here. NOTE: If you are an individual who has a business and/or lives in Anguilla and who has a fundraising platform, please comment below and I will add your link to this webpage. Update: This event took place Oct. 15. A smashing success, the fundraiser pulled in over $70,000 for the Anguilla Foundation. A huge thank you goes out to Chef Marc and all who attended to support and show their love for Anguilla. Click here for photos of the fundraiser. 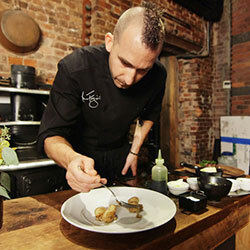 Chef Marc Forgione will be serving up his favorite food and drinks from Anguilla including, chicken, ribs, grilled lobster, Johnny Cakes and RUM PUNCH. 100% of proceeds will be going to The Anguilla Foundation, providing emergency relief to those Anguillians impacted by Hurricane Irma who are unable to access food and water, rebuild their damaged or destroyed homes, or replace the most essential belongings. Live and Silent Auction featuring unique dinner experiences, villa rentals, and more! Update: This event already took place. Since Hurricane Irma devastated Anguilla on Sept. 6, the outpouring of support has been deeply moving. The community on-island and abroad have sprung into action, repairing, setting up funds and flying in relief supplies. The spirit that defines our island has shone bright in the face of dire circumstances. I am blown away by the generosity and love for the island that is so near and dear to all of our hearts. 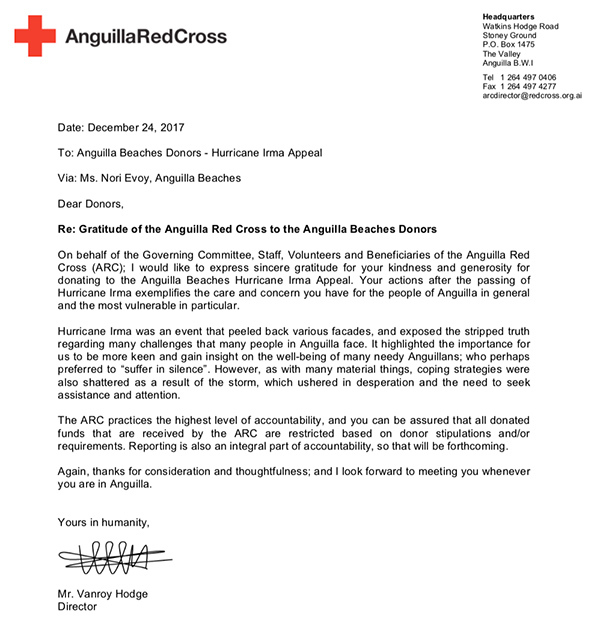 Our Help Anguilla Rebuild Now fund for The Anguilla Red Cross has raised $75,000.00 USD. 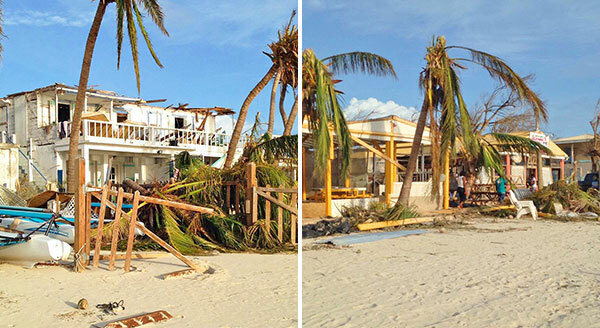 Thank you for all of your kindness and support in helping to rebuild Anguilla. The Anguilla Red Cross has been working around the clock providing aid to those most affected by Hurricane Irma. In the weeks immediately following Irma, the Red Cross addressed immediate needs, distributing emergency supplies. The focus now has been the development of the "unlimited cash program" for Anguilla's most vulnerable. Using a multi-step verification system (initial registration, community-based verification and work in the community to identify more at risk), the program has made great strides. Together with cash specialists from the British Red Cross, 300 people (350 by the end of 2017) have been provided with 2500 EC for families' unlimited use. Funds are from the Department for International Development. Through discussions with Mr. Vanroy Hodge and Anguilla's Health Authority, it has been identified that one critical area has gone overlooked. The need for medical aid. Diabetes and hypertension are just two critical medical issues many of Anguilla's vulnerable are facing, an issue further complicated by wide unemployment. The funds we raised are going towards the Anguilla Red Cross program to assist Anguilla's most vulnerable with medical aid. A huge thank you to Kendall R. Coleman, Jr. (CPA, CGMA, CCA). A Partner of CST Group with professional auditing experience, in the New Year, Mr. Coleman will provide the audit, detailing all funds in and all funds out and how they are being used. Please stay tuned for updates via the newsletter. For the PDF of Mr. Vanroy Hodge's letter, please click here. Nat's is BACK! Open daily 1-5pm, closed Sunday. Save the date for May 11-13th! The Anguilla Regatta is ON. Good Korma has relocated to The Strip. Roy's webcam is ONLINE. Click here to see. 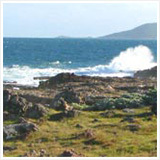 Daily flights to St. Barths from Anguilla with Anguilla Air Services! Meads Bay is looking FANTASTIC, with more sand than ever before. A look at Shoal Bay East - the sand at the upper part of the beach is BACK! 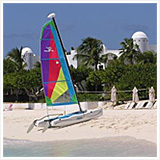 Excellent option for getting to Anguilla via the UK and Canada? Fly into Antigua and catch Trans Anguilla from Antigua to Anguilla. Trans Anguilla flies daily. The Reef is OPEN and looking fantastic. Tokyo Bay and Venus Spa to re-open this month. Article via The Anguillian here. Churches are rebuilding and repairing after Irma. Update via The Anguillian here. Mango's aiming to re-open in November in the same location. Happening Apr. 28: Full Moon Party at The Cove with Anguilla Watersports! Sandy Island is BACK and looking more delicious than ever! Four Seasons' Meads Bay Webcam is BACK. Tune in here. The Reef is OPEN. Excellent re-opening specials. Beach Happy has re-opened in Geraud's previous location. Tranquility Beach is on a roll! Update on their progress here. Happy updates from Simone of Sandy Island - rebuilding has begun! Palm Grove is testing out their grills! Officially re-opening soon. Stay tuned! Another BIG step for Anguilla: TravelWeekly article here. Investors look at Conch Bay & Airport project. Article via The Anguillian here. SXM has opened its temporary arrival pavilion. Info here. Anguilla Air Services' NEW plane & schedule. Update here. Morlens' musicians perform at Carnegie Hall. Article here. Tradition now accepting reservations for when they are back on the water April 7th. List of excursions here. Happening this weekend: FESTIVAL DEL MAR. Schedule of events here. The Reef re-opens April 1! Take advantage of their specials here. Limin' Boutique is OPEN - Monday-Friday 10am-5pm, Saturday 10am-4pm. BELMOND Cap Juluca is now taking bookings here. The property is on schedule to welcome guests from 17th November 2018. The property will feature a sea view infinity-edge pool, ‘disappearing spa’, rustic beach bar ‘The Cap Shack’ and elegant restaurants. Colorful botanicals and indigenous plants spill in from the tropical surrounds and blend with new designs that embrace old world travel and new world comforts; embracing its access to one of the best beaches in the Caribbean. More details below. Spa: Majestically perched on the property’s private headland, nestled in manicured gardens and offering panoramic views of crystal blue waters is the new Spa and Fitness Centre. A ‘disappearing spa’, designed to seamlessly blend into the landscape – it is the only spa of its kind on the island to offer intimate access to nature away from resort life. A place to exercise, relax and unwind, the spa will boast a yoga pavilion, gym and seven all-suite treatment villas – with private terraces and seating by the sea. Pool: HEALING WATERS - Offering new levels of waterfront luxury is the show stopping “CAP’s Cool Pool” and new outdoor terrace featuring an infinity-edge pool, shaded botanical courtyard and spacious tree-lined sunbathing decks. Guests will for the first time in the property’s history have the best of both worlds – a chance to dine and socialise by the pool whilst taking in the mesmerising views of the beach. 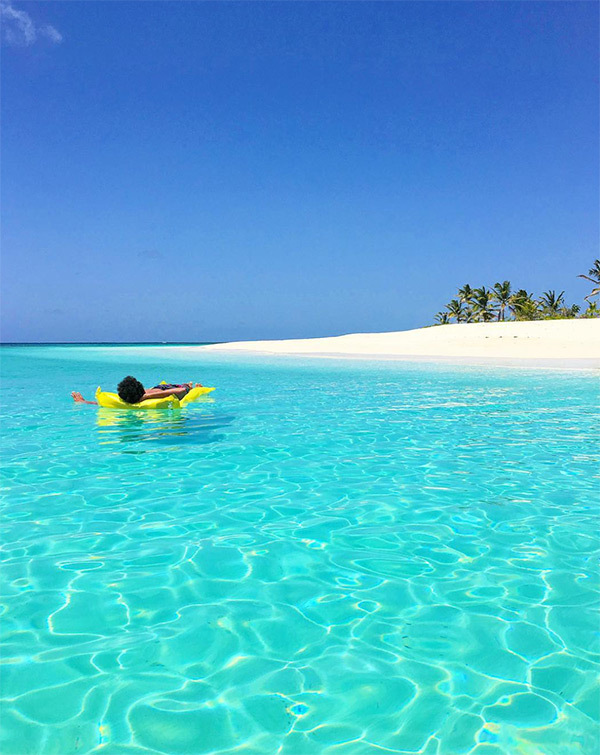 The naturally healing powers of the sea are complemented by locally harvested Anguillan salt that features in bathroom amenities and signature spa treatments. Dining: The newly reinvigorated Pimms restaurant is an invitation to dine on authentic Caribbean classics and Anguillan delicacies in relaxed elegant surroundings. A taste of the world of Belmond, through dishes inspired by the world-famous ‘CIP’s Club’ in Venice can be enjoyed at the casual all day dining restaurant, CIPs by Cipriani. Freshly squeezed fruit juices, smoothies and light bites are on offer at the fashionable new Maundays Lounge and Pool Terrace and by night service turns to sophisticated ceviche and tapas as the rum cocktails flow. The epitome of barefoot luxury is the resort’s rustic beach bar and playful seat in the sand - ‘The Cap Shack’ - located on a remote stretch of Maundays Bay and open to island dwellers and seafarers alike. Creatively mixed rum punches, catch of the day and BBQ beach tapas are served from a food truck to sun-kissed revellers as the sound of live calypso and reggae fills the night skies. Suites & Rooms: Spread across Belmond Cap Juluca’s secluded crescent-shaped cove and located just steps from the white sandy shores are 113 newly appointed guest rooms and suites – all with large private verandas or balconies. The interiors honour laid-back island life with space to read, dine and dream away the hours in comfort. Many of the accommodations boast large bathrooms that overlook walled botanical courtyards, complete with private seating area. 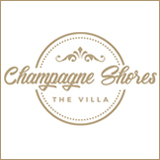 The three and five-bedroom private villas offer more space for families and groups of friends to embrace island living and feature high spec kitchens, large dining areas and private pools. NEW ferry schedule. Last boat departs Anguilla @5:30pm, last boat departs St. Maarten @6pm. Click here. Happening Jun. 22-24: Bankie’s Rendezvous Folk & Blues Fest! Tradition is BACK on Apr. 7! More on Tradition's heartwarming and heartwrenching journey back home following Irma. Tranquility Beach breaks ground. Update here. Update from The Place: Leonard “Smoke” Sharplis from Smokey's can now be found at The Place! Full update here. 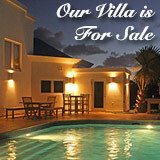 Update on Anguilla Great House. Article here. A look at Lynne Bernbaum's NEW storefront. Article here. A look at Swellmageddon which hit earlier this month. Article here. Pre-Easter Extravaganza Mar. 24 at Agricultural Grounds. 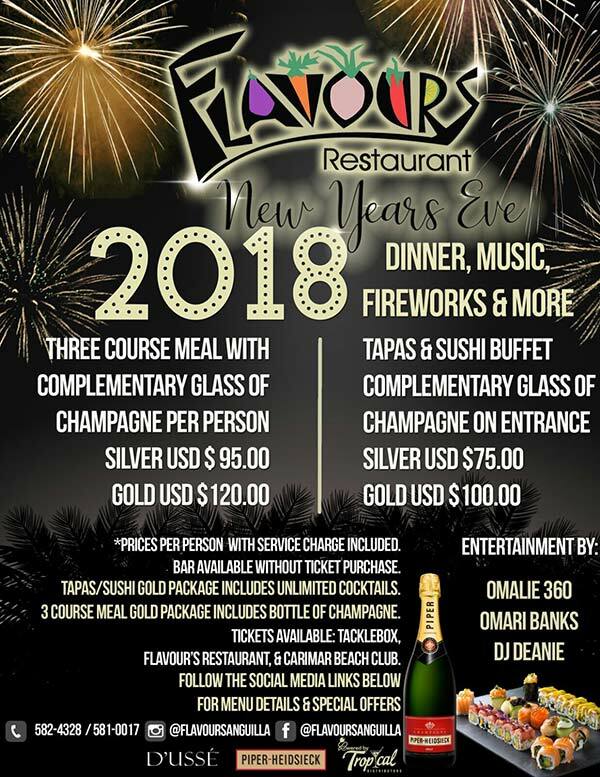 Catch Anguilla's Jammin' there! Coming soon: The best seafood fest around! Limin' Boutique re-opening next week! The Aqua Park's opening has been postponed. Full update below. Anguilla's own Amalia Watty on AMERICAN IDOL earlier this week! So many congrats to Amalia! Ian “Sugar George” Edwards' fabulous Beach House turns heads in this fantastic feature by The Star. Article here. 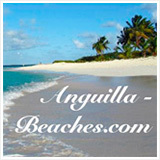 Tranquility Beach Anguilla breaks ground. Photos of the ceremony here. Aqua Park to re-open in the next 1 or 2 weeks. Updates to come. Village Bakehouse hours: Tuesday-Friday 7am-3pm, Saturday & Sunday 7am-12pm, closed Monday and public holidays. HUGE congrats to Roy's on their TripExpert WIN. Outstanding food and consistently excellent service, so well deserved! CuisinArt now accepting reservations for next season. Coming UP: The Reef re-opens April 1st! Take advantage of their re-opening specials via the info in the post below. Elvis' all cleaned up & getting rave reviews on TripAdvisor for their outstanding fish tacos. 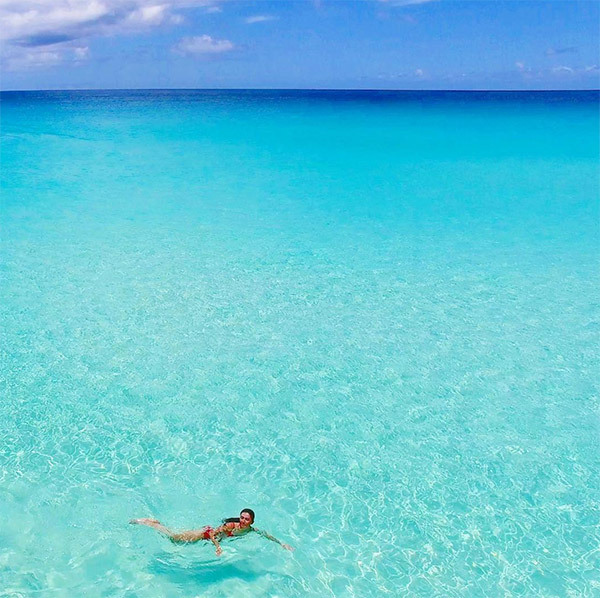 A must read on what to expect this tourism season in Anguilla by Neil Freeman of Tranquility Beach, Beaches Edge and Villa Alegria: Click here for the article. SXM & SJU are open for commercial flights. List of SXM & SJU flights courtesy of Carimar Beach Club. 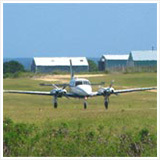 Trans Anguilla offering charters and scheduled flights to St. Kitts, Nevis and Statia for $100-200. Book online here. Trans Anguilla introducing regular scheduled flights to Antigua Jan. 15 2018. Book online via link above. Anguilla to expand its runway to 6,000 feet to accomodate 737s and to build NEW Blowing Point terminal. 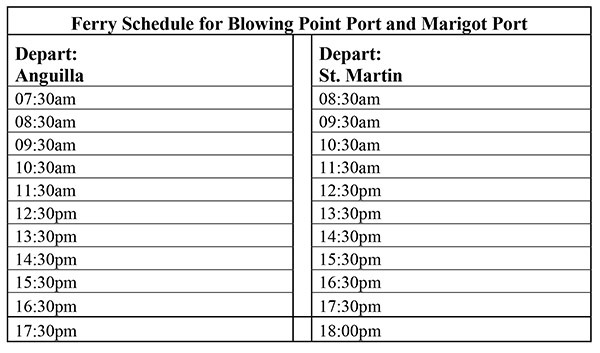 Public ferry service has resumed between Marigot and Anguilla Monday-Sunday. Fare is $20/person. See schedule below. Calypso has resumed SXM-AXA service. Full schedule and details below (last boat leaves SXM at 5:45pm). Booking online - fares are $65 one way and includes taxi between airport and dock. The reservation online guarantees your seat. Walk ups - fares are $55 one way and price does not include taxi. There are no guarantees for availability on walk ups. 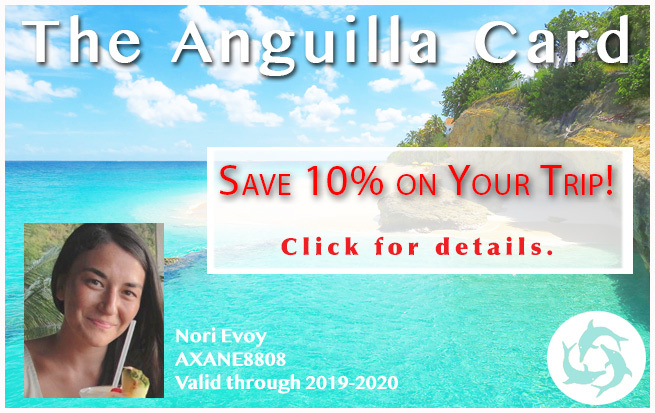 For more information and to book, email: info@calypsochartersanguilla.com, call: 264-584-8504, or click here to book online. Funtime has resumed SXM-AXA service. Details here. They also now have a 5:30pm shuttle. 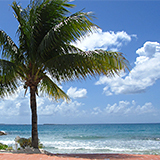 GB Express has resumed SXM-AXA service. Details below. Departure times may be altered during the Autumn/ Winter season. Updates would be provided in advance. Link Ferry has resumed SXM-AXA service. The ferry will cost US$35 per person one way and $60 round trip. Kids will be $20 one way and $40 round trip. Contact: 264-772-4901 729-5235 or 729-9623. ANGLEC has hit the 100% mark for network energization, post hurricane Irma. A HUGE thank you to ANGLEC! Video of flipping the last switch here. More areas are being re-connected WiFi. Click here for an update from FLOW. If you don't have WiFi, certain areas are offering WiFi (ex., FLOW's office, Digicel, Best Buy West End, The Fountain hotel, Elvis' beach bar) and hot spots and data packages for mobile can be purchased from Digicel and FLOW. Roads are clear of debris, etc. Cap Juluca - to re-open Nov. 2018. Currently accepting reservations. La Vue - operating as an ApartHotel. Will re-open as full hotel in Nov 2018. Ambia - SPECIAL: 20% Discount Off Of 2018 Winter Rates (January 9 - April 14) For Any New Weekly Booking Of 3 Bedroom Rental Or Villa Rental. Spyglass Hill Villa - re-opens Dec. 20 with SPECIAL OFFER: Pay for 5 nights and get 2 nights complimentary. Breezes @ The Reef -- Open 11:30am-5pm daily. 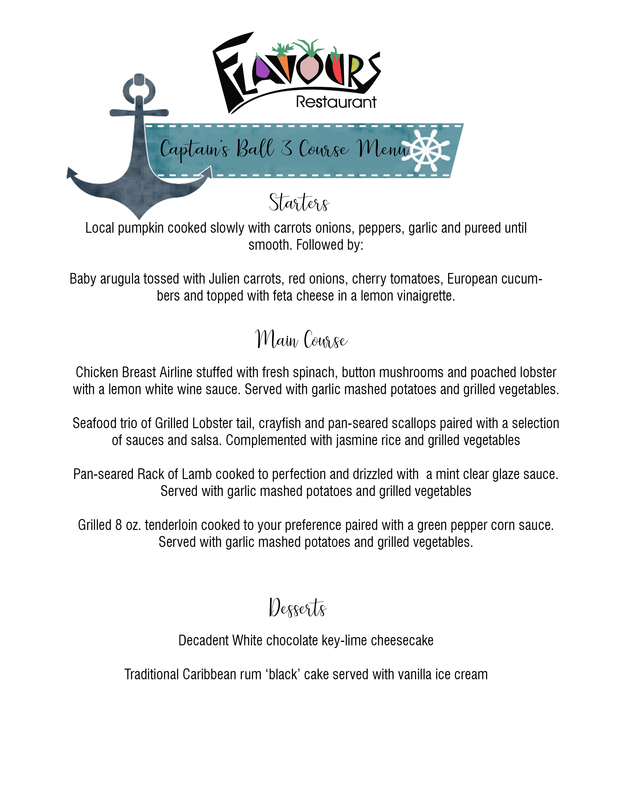 Dinner to start Dec. 15th from 5-9pm. Closed Mondays. LIVE MUSIC 2-5pm on Saturday. Menu here. Dad's. Live music Friday & Sunday night @7pm. Elvis' - open 7 days/week with FREE WiFi! Grilled Spot - open Saturday's. Pics & menu here. Havana Bar - open Thursday, Friday, Saturday from 5:30pm for drinks. Next to Junie's office in Blowing Point. Italia @ CuisinArt Golf Resort & Spa -- re-opens end of Feb.
Julian's Tropical French Bistro @ Quintessence hotel. Menus here. Johnno's Thurs-Sat. Live music on Sunday afternoon. Le Bon Pain - closed Wednesdays. Call 264-584-4090 for orders. Ocean Echo. Omalie 360 live on Sunday afternoons. Sharpy's Shake Shack -- temporarily closed; will re-open Jan. 9. Tasty's. Open dinner only. Friday $5 specials. Veya - for lunch & dinner. Lunch menu here. 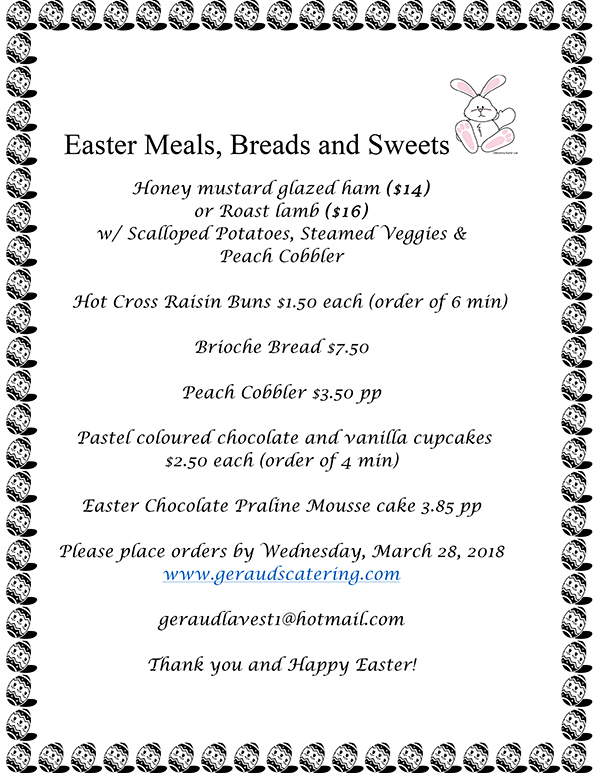 Village Bakehouse (now next to Grands Vins de France) -- Tuesday-Friday 7am-3pm, Saturday & Sunday 7am-12pm, closed Monday and public holidays. Big & Better Private Catering Services and private chef. Info here. Dad's & Johnno's: Details here. Flavours: Details here. Menu here. 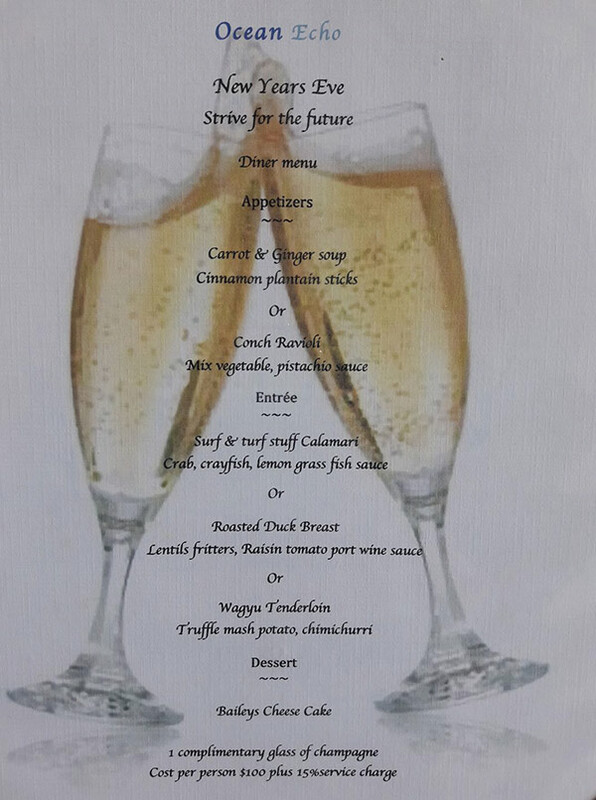 Geraud's - New Year's Eve & New Year's Day Menu: Details here. 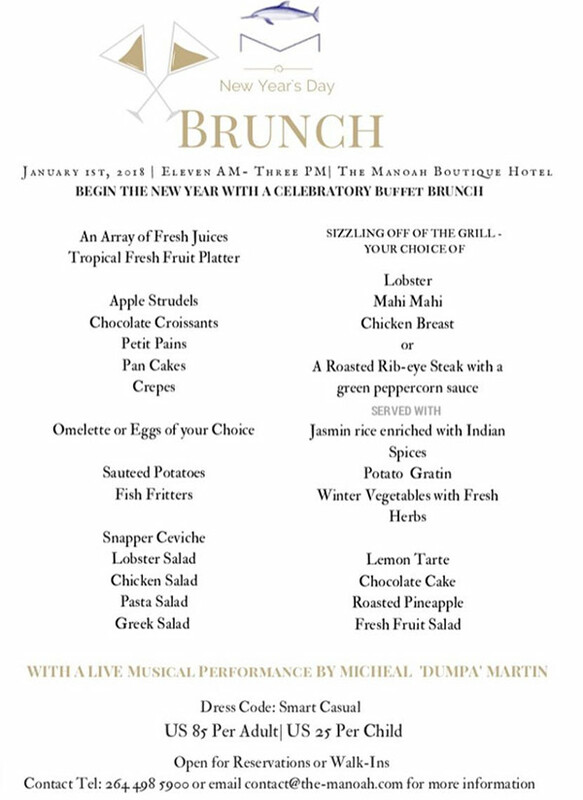 Manoah - New Year's Day BRUNCH: Details here. 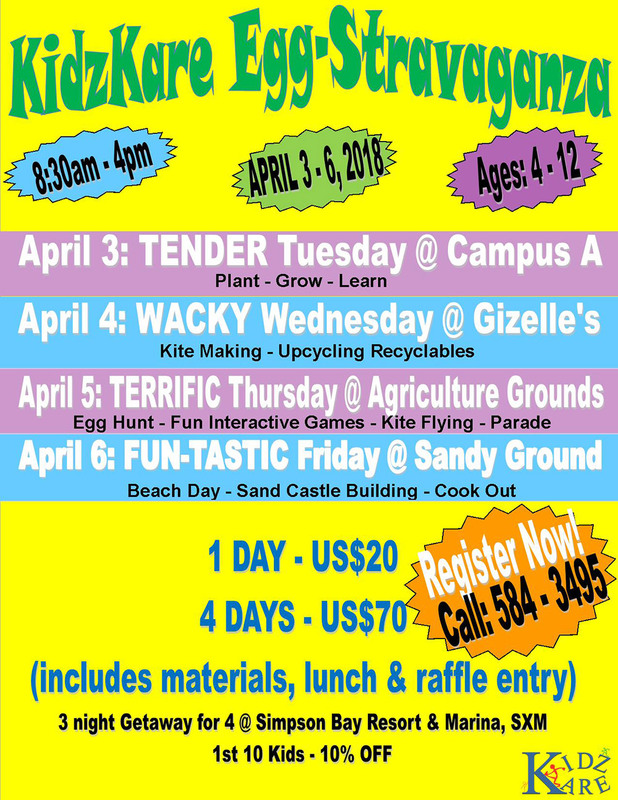 May 30 - Anguilla Day (Boat Race)! Golf Course @ CuisinArt Golf Resort & Spa -- open Wednesday-Sunday. Click here for calendar of events. Click here for information on their Friday Afternoon Golf League. 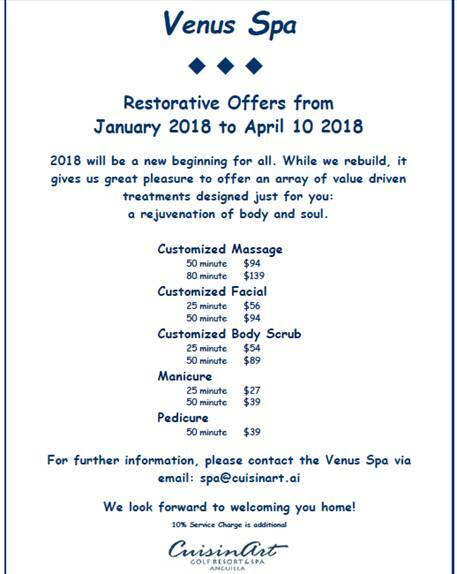 Venus Spa @ CuisinArt Golf Resort & Spa -- re-opens in January. Spa menu here. Big Store (Megasavers) is open - 10am to 6pm. Most recent Hurricane Irma update here.